Embed BookSteam BookNow button or Website Widget into your Joomla website. 3. Login into your Joomla account. Click on Access Admin. 4. 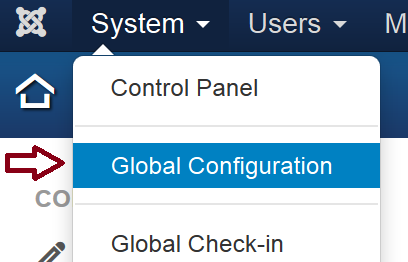 Select System, then Global Configuration. 5. In the Default Editor dropdown select "Editor-None" and click Save. 6. At the top select Extensions, then Module Manager. 7. Click New, then from the "Select a Module Type:" select Custom HTML module. Enter title and paste your BookSteam code you copied in Step 2. Also, select Position where you want your BookNow button to show up. In the Menu Assignment tab you can select which page to add this module to. Click Save. 8. 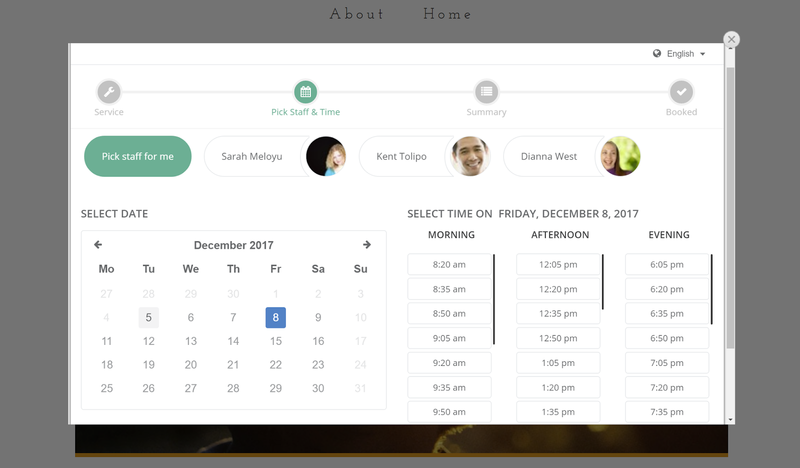 Now go to your Joomla webpage and your scheduling BookNow button will appear. 9. If you want to embed website popup widget into your Joomla site, navigate in your BookSteam account to the 'Marketing' tab, on the left hand side select 'Website Widgets'. 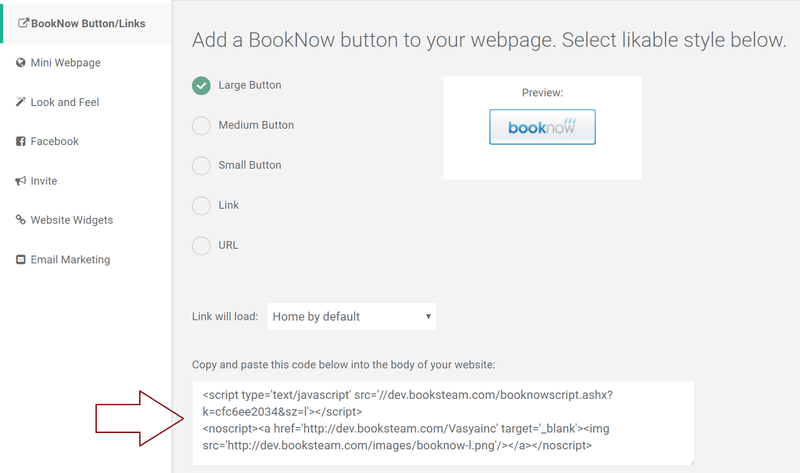 Select 'BookSteam popup widget', select which link to load (if you want to load main page just leave it default) and then copy code below. Note: If you need to, don't forget to switch Default Editor back to "Editor-TinyMCE".